Kim Jun-yeop: A model for perseverance. November. 09, 2018 07:31. . There are few in the turbulent modern history of Korea who have been deeply revered as former Korea University President Kim Jun-yeop. Instead of avoiding the hardships of imperialism and dictatorship, he confronted them. He was forced to join the Japanese military, but escaped and walked more than 2,300 kilometers, arriving at the provisional government of the Republic of Korea in Chongqing, China and joined the Korean Liberation Army. His lifetime comrade was journalist and independence activist Jang Jun-ha. 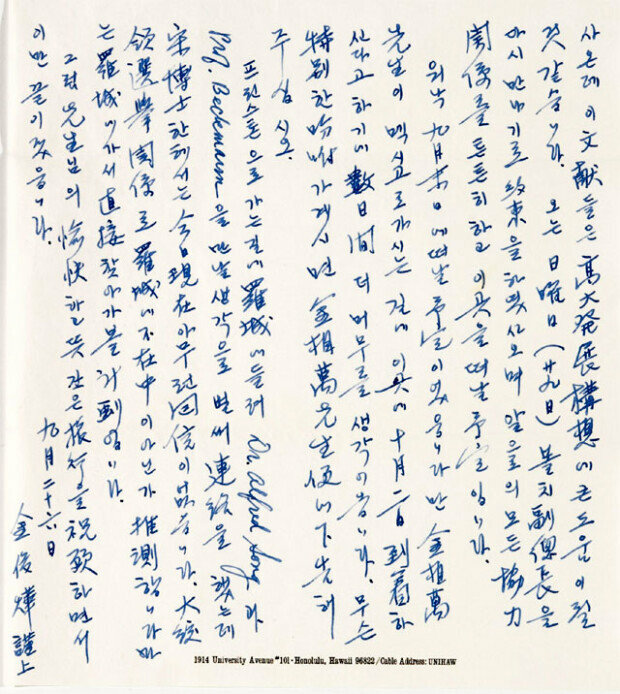 Kim’s handwriting reflects his character, particularly his long and big g and y, which represent unceasing vigor, while his wide letters signal perseverance, which usually characteristic of athletes. After Korea achieved independence, Kim began life as a scholar and refused proposals to work for the government, even top positions such as prime minister, minister and secretary general of political parties. When he became president of Korea University, he ousted residing public officials in the school and reinstated unduly dismissed faculty members. He disbanded the Korea National Defense Student Defense Corps and promoted the revival of the direct election system for electing student council. He refused to succumb to the power of the military dictatorship of Chun Doo-hwan. When he was forced to step down by the dictatorship, students staged a month-long protest to oppose his resignation. Kim’s footsteps are reflective of his positive nature, strong judgement and capability. Pointed edges reflect his upright character, as well as the long edges of his a. 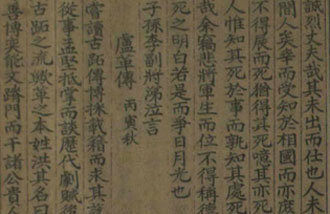 The narrow upper part of the f shows that he is capable of controlling his emotions. His long g and handwriting ascending towards the right handed side reveal his optimistic nature. His firm rounding and the flat upper part of his r’s show that he is good-hearted and capable. Long f suggest that he is a very realistic person. “Do not live the present but live history. Trust the god of history. Justice, kindness and the truth shall always prevail,” said Kim. And throughout his life, he showed how to put his words in practice.